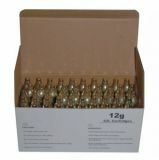 Pack of 5 non threaded 12g Co2 cartridges. Filled with 100% pure CO2. Manufactured in Hungary by Liss Patrongyarto Kft. 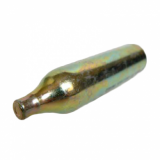 Ideal for use in some BB guns, toy paintball markers and CO2 pistols & CO2 rifles - please double check gun takes 12g (NOT 12oz) cartridges! 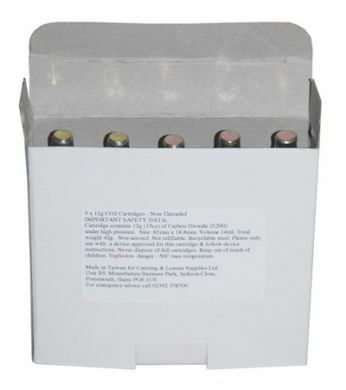 You should regularly lubricate your gun using an approved lubricant. 4 x 12g will fill Motorcycle 180/55/17 tyre to 24PSI/1.6BAR.